As the grocery stores start to switch over their produce displays to fall foods, I find myself starting to want warm comfort food more and more. There’s something about pulling a dish of hearty, cheesy comfort food out of the oven as the weather starts to cool that makes everything better. It makes you forget the stress of the day, the lack of a long sunny evening, and the household chores that need to be done! 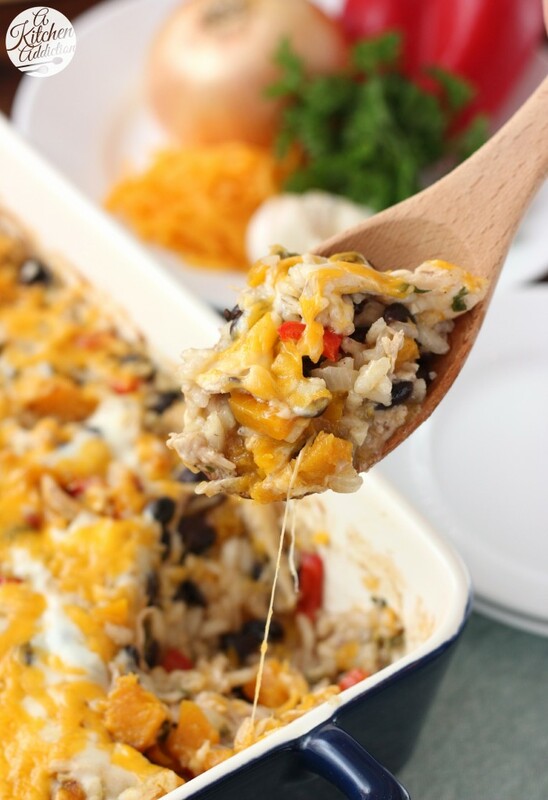 This cheesy jalapeño rice bake with roasted squash and chicken is just the comfort food that this time of year calls for! Hearty, warm, and packed with flavor! Butternut squash is roasted with a bit of olive oil, salt, pepper, and nutmeg. The edges crisp and the natural sweetness comes out pairing perfectly with the bell pepper and jalapeño flavors. 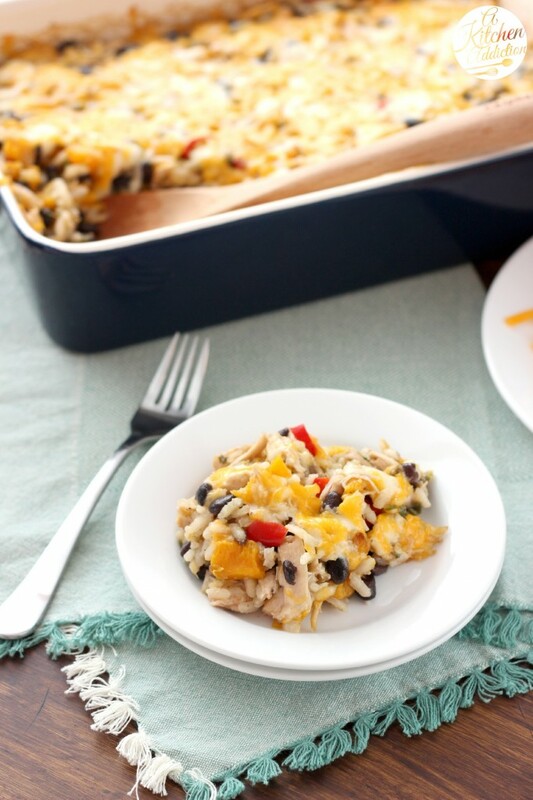 Black beans and chicken give the bake a good source of lean protein. Oh, and there’s cheese. All good rice bakes have cheese both on top and stirred throughout! The type of rice that is used is what makes this rice bake stand out. RiceSelect wants you to “Rethink Rice.” It doesn’t have to remain a tasteless side or a flavorless base for delicious toppings. It’s a versatile grain that can be the hero of the dish, and it is in this rice bake. Their Arborio Blend™ with Jalapeño is a gluten-free blend that adds a spicy kick to this dish. It also contains a hint of onion and garlic to give the fresh onion and garlic in this dish a flavor boost. Not only does it taste good, but you can feel good feeding RiceSelect to your family. RiceSelect products are grown, milled, and packaged in the USA and are produced from non-GMO proprietary seed. 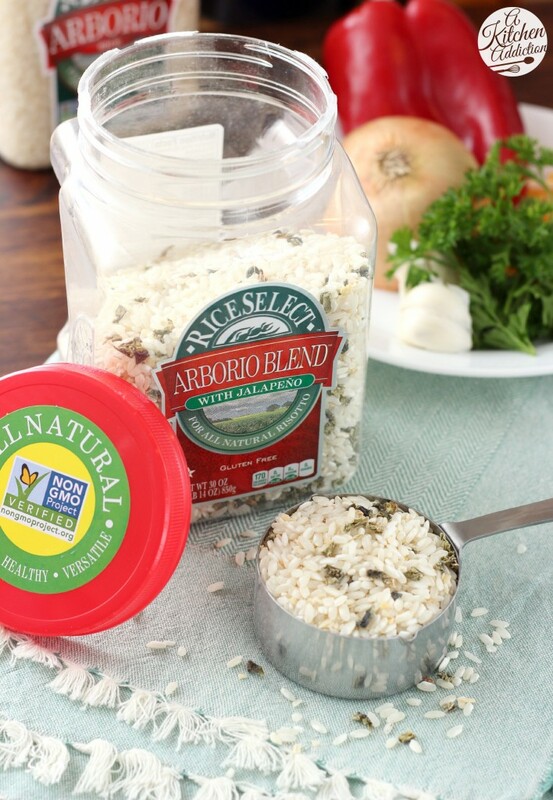 Their varieties also include the signature Texmati® Rice and their new Arborio Blend™ with Mushrooms. Give them a try for yourself! You can find their products at these stores and online. Want some more recipe inspiration and to save some money on RiceSelect products? Go now to the RiceSelect Rethink Rice campaign site and sign up for their monthly newsletter. You’ll get a $2 coupon just for signing up! While you’re there, enter for your chance to win a free Aroma 6-cup rice cooker and use #RethinkRice #sweeps to show your recipe creation for a chance to win a $100 Amazon Gift Card! Preheat oven to 400. Line a baking sheet with parchment paper or a baking mat. In a large bowl, toss squash with ¼ teaspoon salt, pepper, nutmeg, and 2 tablespoons olive oil. Spread evenly on prepared baking sheet. Bake for 20 minutes or until tender. Stirring halfway through baking time. While squash is roasting, bring chicken broth, water, parsley, and remaining ¼ teaspoon salt to a simmer in a small saucepan. Once you get the chicken broth mixture started, drizzle remaining olive oil in a large frying pan with high sides. Add beans, pepper, onion, and garlic. Cook over medium heat for 5-6 minutes or until onion is translucent and peppers start to become tender. Carefully add in simmering chicken broth mixture. Stir in rice, ½ cup mozzarella cheese, and chicken. Cook for 5 minutes. Spray a 9x13 inch baking dish with non-stick cooking spray. Carefully transfer rice mixture from frying pan to prepared baking dish. Bake at 400 for 30 minutes. Remove from oven and stir. Top with remaining ½ cup mozzarella cheese and cheddar cheese. Bake for another 5-8 minutes or until cheese just starts to brown. Remove to a wire rack and allow to cool for 15 minutes before serving. 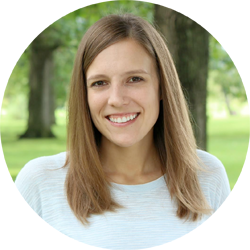 To help you “Rethink Rice,” BlogHer and RiceSelect are giving away a $100 Amazon Gift Card to one (1) lucky reader! Enter for a chance to win by simply leaving a comment below telling me how you would make rice the HERO of a dish. i would make a warm spiced rice, pasta and raisin dish. I feel like I have been roasting squash almost every day, it is so good! I can wait to try the arborio with jalapenos. This bake looks like the perfect weeknight meal, can’t wait to try it! What an amazing product. The first recipe I would make would be this one. I can tell it would be a family pleaser for both adults and kids. Rice is a hero whenever it’s with chicken! I would use rice instead of noodles in some of my casseroles to make it the hero. I know that it would make it different and good. Thanks for the chance to enter. I love the idea of this rice recipe. Looks DELISH! Will be trying very soon. Thanks for an awesome giveaway. Something’s wrong with your site – recipe on Home page is for french toast. Also, link to Rethink Rice didn’t work. Found a work-around. Thanks! Rice is the hero in my mother’s arroz con pollo. I would make rice the hero of a dish by using it in my black bean burger recipe. Now this is my kind of dish!! Especially with the butternut squash, rice and cheeseeeee! haha I can’t get enough cheese right now 🙂 Love this! That rice sounds really good! Yummy! I would make rice the star of my next dinner by creating a slow cooker chicken and rice dish with cream of mushroom soup. I love chicken and rice or taco rice bowls! I’ve not seen this variety yet, and it sounds amazing! 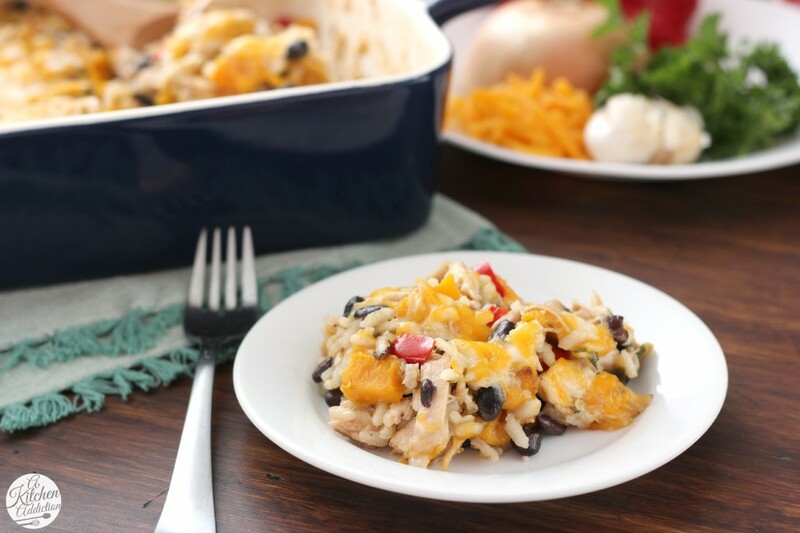 I love roasted squash, and this rice bake looks perfect for a delicious weeknight meal! I would make a delicious rice pilaf. Oh my goodness this just screams FALL with the addition of the squash. So comforting! I’d make some sushi… with tuna. I would add veggies to this rice recipe above to make a HERO of a dish for my family. We also enjoy white sticky rice and stir fry veggies. I definitely wouldn’t mind digging into this for dinner! And I appreciate that they label them as gluten free since I have a gluten sensitivity! This casserole looks so comforting! All that melty cheese is seriously calling my name! I would make rice my “hero” by using it as a key ingredient! I would make a delicious rice pudding! This looks fantastic! I love all the roasted butternut squash and cheese. Sounds like the perfect weeknight meal, can’t wait to try it! This cheesy bake sounds super to me! Love that it’s comfort food but also veggie-stuffed. I’d make a chicken and rice risotto! This sounds so delish!! Fiesta party in your mouth! I’ve been eyeing a simple recipe with rice, grilled chicken, bacon, and spinach – looks to die for! Rice pudding for dessert. Raisins, spice, cinnamon. Yummy!! I love rice select. I have at least 3 of their products in my pantry at all times. I haven’t seen the jalapeno rice. I have to find it. This is a wonderful casserole. This looks like such a cozy meal!!! 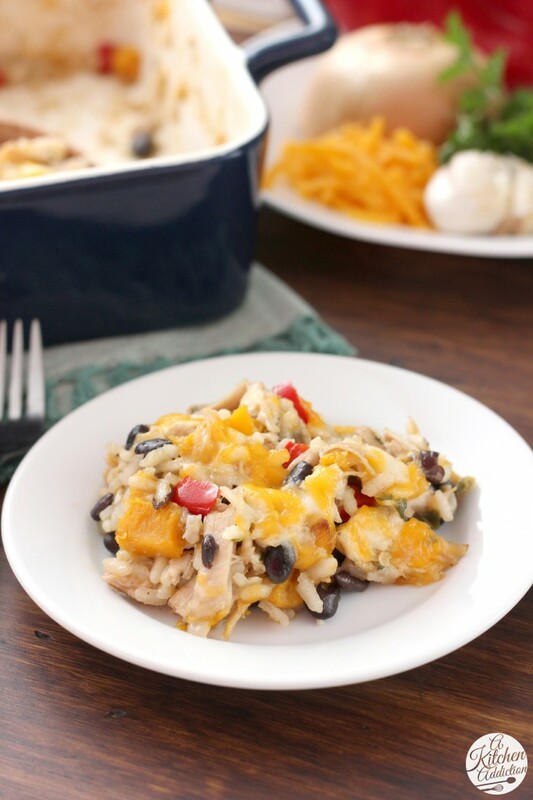 You just combined all my favorite things – squash, jalapenos, cheese and chicken! Totally going to have to try this. i love to go for a greek inspired rice when i’m short on time. i use wild rice (the kind that cooks in 20!) and combine it with one microplaned clove of garlic, the juice of half a lemon, lemon zest, salt, pepper and half of a box container of frozen chopped spinach. mix to combine and then add in some feta. it’s the kind of rice that you can’t stop eating! and added white meat chicken to top it off. This looks like a recipe my family would love!! my favorite way to use rice as the star of the dish is with cabbage and Kailua pig. I make it in the crockpot frist with the Kailua pic the the last half an hour I use the cabbage and put the rice in to cook and mix it all together my whole family loves it! Rice casseroles can BE the dinner. I love this one. I haven’t seen one with jalopenos before. I pair brown rice with any meat/fish…use a simple sauce and add fresh veggies and sriracha! I love making red beans and rice so I definitely would make that! I would make Mexican pie — it’s like an enchilada with more layers and in a pie pan! I love to use rice in soup for the perfect cold weather comfort food! Love your cheesy Jalapeno Rice Bake! I’d use it in a casserole. I love my rice with some garlic, pepper and fried broccolis, simple as that ! And I could make too some pudding rice (french recipe). I chicken and cheesy rice casserole. I make rice the hero by cooking it with broth instead of water and it comes out so tasty! I would make this rice the hero of my Seafood Paella recipe. I love that it has little jalapenos in it as well. That would bring the perfect touch to my recipe. Thank you so much for the opportunity to enter. This looks yummy. My favorite rice recipe is Spanish Rice. I would make rice the HERO of a dish by swerving our family’s favorite Japanese curry rice. We like to make skewers on the grill with marinated meat (usually chicken), onions, bell peppers, tomatoes and pineapple…so good and it’s important to have really good rice to eat it with! I would make it the hero by using it in recipes instead of potatoes, for example I would use it as a side with a pot roast. SPICE IT UP! FRY IT, THEN SEASON AND ADD ANY MEAT! I would try and make a rice dish with some cheddar cheese soup, bacon and some green onions. I love stuffing peppers with cheesy rice. i would make a hearty rice salad or pilaf ! Oh yum! I know what I want for dinner! Cheese and jalapeños are a winner in our house! Love how you added them to the rice. So yummy! I like the idea of rice being a “hero.” It certainly is in this house–we eat it several times a week. I think I could make it a hero by moving it from its supporting role at dinner time to a starring role in dessert with a nice old-fashioned rice pudding. Rice would definitely be the hero in a rice pudding dish with golden raisins. Love it! I love this recipe! I usually use corn tortillas (torn) or noodles but this sounds much better! I can’t wai to try it. I usually use rice with chili and also in stuffed peppers. Delicious. I tweeted your contest too! Gosh this looks good. I can’t wait to make this myself. I do believe I have everything I need already in my pantry and fridge. Thanks for the recipe. Pinning. I would use it to make some chicken and wild mushroom with rice soup. I’d make rice the hero by mixing it with a little sauteed garlic and a lot of minced green herbs. Always wins over the most unadventurous eaters. I would use rice in a stuffed pepper soup recipe. Oh I would use the rice and make Spaghetti rice stuffed green peppers! My husband would love this recipe. Thanks for sharing it. Chicken and cheese is what I love to make rice the best! I’d make rice the hero of a dish by using a new kind or variety I hadn’t tried! Rice goes with everything! I would make some red beans and rice. I love fried rice. It’s so easy when almost everything that goes into the dish is a leftover. I would love to try a bbq sauce on rice to make it stand out! My favorite rice recipe is making beef burritos with white rice and black beans. I’d would make rice the HERO of a dish by ccooking rice pudding.